The Department of Justice won't investigate shocking claims made earlier this year. “The department carefully reviewed the matters referred to us and did not find sufficient evidence to warrant a criminal investigation,” Justice Department spokesman Peter Carr told McClatchy. It’s a fizzling denouement to one of the more fascinating political dramas of the Obama era. 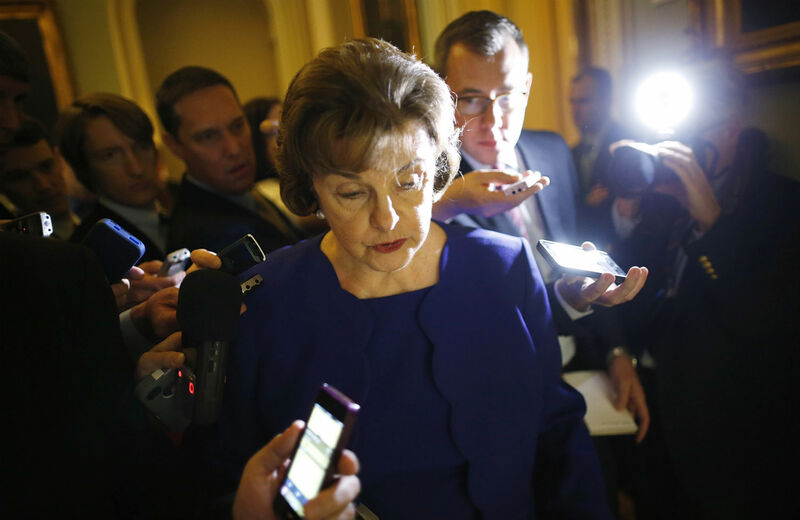 Earlier this year, without any warning, Intelligence Committee chairwoman Dianne Feinstein took the Senate floor and delivered a lengthy, forceful speech directly accusing the CIA of spying on private committee computers and removing sensitive documents. It was an unprecedented public eruption of tensions between the security state and the legislative branch. The backstory is that the Intelligence Committee conducted an extensive investigation into Bush-era torture, and produced a 6,300-page report that is not yet public. It’s reportedly a “searing” indictment of the agency—and the CIA responded by denying many of the damning charges. The problem is that investigators came across what’s known as the “Panetta review,” an internal review ordered by the former CIA director that reportedly confirms most of the worst findings about torture by CIA agents. It’s this review that Feinstein publicly charged the CIA with removing from private committee computers after gaining illegal access. This is a serious charge—it’s not substantially any different from CIA agents breaking into a physical Senate office and removing files. A second-party retelling of a confession may not be enough to obtain a conviction, but it’s hard to imagine there is not enough smoke here to at least pursue an investigation. Aside from the immediate implications regarding Bush-era torture—and, with the revelations this week about CIA spying in Germany, an agency that may essentially be going rogue—the incident raises grave concerns about constitutional separation of powers, as Feinstein herself noted in her speech. Feinstein said she is at least happy that Justice won’t investigate the CIA’s claim that committee staffers essentially stole the Panetta report from CIA computers, a charge she firmly rebutted, at length, in her March speech. As DOJ says they won’t wade into CIA/Senate spat, Sen. Mark Udall says: “We shouldn’t let this drop.” He says Senate needs to take a stand. Senate Majority Leader Harry Reid didn’t directly criticize the Justice Department on Thursday, but did restate that he believed the CIA was engaged in wrongdoing.